Blood infection: The blood is the most important body fluid and it is even said that the life of a person is in the blood, therefore any condition that affects the function and amount of the blood needs a quick attention as it can be very serious. Red blood cells (erythrocytes): These are the most numerous blood cells that are made up of haemoglobin which gives blood its characteristic reddish colour, their main function is the transportation of oxygen to every cell in the body. White blood cells (leukocytes): These are the cells in the blood that are responsible for fighting against diseases; they make up a major part of the body’s natural immune system. Platelets (thrombocytes): These cells of the blood are responsible for forming the mesh that clots blood and prevents too much loss of blood during an injury. All these blood cells are present in the serum, which is the liquid part of the body. Apart from these functions, the blood plays a very important role in carrying absorbed food nutrients and taking them to different parts of the body, while it also removes waste products for excretion. There are cases where the blood becomes infected, and given its importance, this can be life threatening if left untreated. Blood infection, also known as septicemia (or sepsis), is a condition where the bloodstream becomes infected by a disease causing bacteria. This condition can quickly lead to low blood pressure and affect the normal function of blood cells. Wound abscesses: Open wounds can easily create a pathway for the entrance and multiplication of harmful bacteria, especially when an abscess develops, these bacteria can easily invade the blood stream to cause a septic shock. Weakened immune system: The existence of an underlying disease such as HIV/AIDS, pneumonia and leukemia can weaken the body’s resistance to these invading bacteria, thereby exposing it to infections. Intestinal infections: The intestinal tract is naturally composed of a natural fauna of bacteria which do not cause any disease. But when there is an infection, these bacteria can multiply rapidly and gain access to the bloodstream where they cause serious infections. • Antibiotics: The prescription of these drugs can help suppress the bacterial growth, but with the regular use of these drugs, there have been recent strains of drug-resistant bacteria that can cause severe septicemia. • Diet: An improved diet can have a quick beneficial effect on the bloodstream, so it is recommended that in cases of bacterial infection in blood, patients should consume a lot of fruits and vegetables rich in vitamin C to help boost the body’s immune levels. • Herbs: The most effective way of treating bacterial infection in blood is through the use of herbs such as garlic, mung beans, and turmeric, all of which have strong antibacterial properties to help rid the bloodstream of infections. 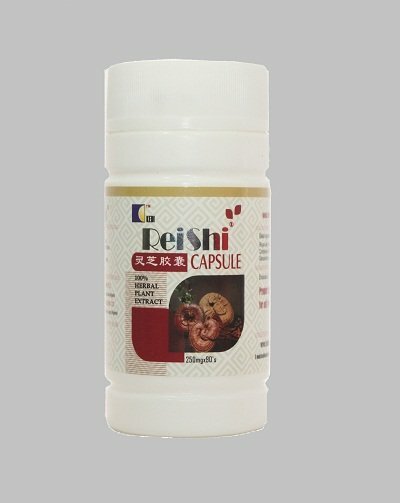 You can order for Haemocare and Reishi for blood infection treatment. We sell member price to encourage patronage and membership after you have result that our food supplement/medicines works. The price for Haemocare is N7,140 and Reishi is N9,820 excluding cost of delivery.